The Presentation on 'IT Modernization in Action: How to re-invent your IT Architecture' was held by LeanIX Co-CEO André Christ at the Gartner Enterprise Architecture & Technology Innovation Summit in London on 14 June 2017. 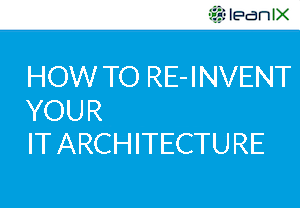 Find out how LeanIX completely re-invented their entire IT architecture. LeanIX replaced its entire code five years after it was founded and relied on microservices for its revolutionary change. Essential for success were also DevOps and automation. Learn in detail how LeanIX managed to make such a monumental change a success and what the key technologies on the path to IT modernization are by filling out the form.